These easy, healthy quinoa cakes are filled with mashed chickpeas, shallots, and scallions. The cakes are gluten free with a vegan option. Eight years ago, one of my roommates introduced me to this thing called quinoa. At first, I was perplexed. Judging by the spelling, quinoa should be pronounced “keen-NOAH” and not “KEEN-wah.” Clearly. Then, I was skeptical. My roommate described quinoa as if it was some sort of miracle grain, and I wasn’t ready to believe that anything could be better than rice. Mama Lin would have felt the same way. It wasn’t until I tried out a quinoa cake recipe from Heidi Swanson’s Super Natural Every Day that I actually started to like quinoa. 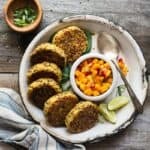 The method is very simple: mix some cooked quinoa, herbs, cheese, and eggs together, shape them into small cakes, and give them a quick pan fry. It was healthy comfort food that sustained me throughout law school. I nearly forgot about those quinoa cakes until a few weeks ago, when my husband reminded me. I made fish cakes from Naomi Daguid’s Burma (best use of tilapia, by the way), and he asked me why I didn’t make those grainy cakes anymore. It took me a while to figure out exactly what he meant, but when I did, I decided to make those quinoa cakes the next day. They were every bit as good as I remembered them to be. Drawing from the recipes in those two cookbooks, I came up with these quinoa cakes. I swapped out the cheese and herbs in Heidi’s recipe, and added mashed up chickpeas, shallots, ginger, and scallions—flavors that are ubiquitous in Burma. These cakes are extra special right off the pan with its crispy crust on the outside and delicate flavors on the inside. I’ve made so many batches of these cakes already, and we always finish them with no trouble. Why didn’t you wash the quinoa before cooking it? That’s what I say to myself every time I get too lazy to give the quinoa a rinse. The thing is, quinoa has this saponin coating on the outside that gives it a slightly bitter flavor. It comes off once you rinse it, so don’t skip that step! By the way, the best way to rinse quinoa is to wash it over a mesh strainer. It took me 6 years to figure out that one. Vegan Option: I made these cakes without the eggs, and they tasted good, too. The only problem was that the cakes couldn’t hold their shape well sans eggs. Plus, I thought that the eggs gave the cakes more of a crisp on the outside. Use a food processor. It will save you from tears, literally: I highly recommend using a food processor to blitz the chickpeas, shallots, and scallions together. I cry every single time I chop shallots. My handy dandy food processor saved me from a few tears! Variation: I added 1/2 teaspoon of ground turmeric to a batch, and they added a lovely color and flavor. 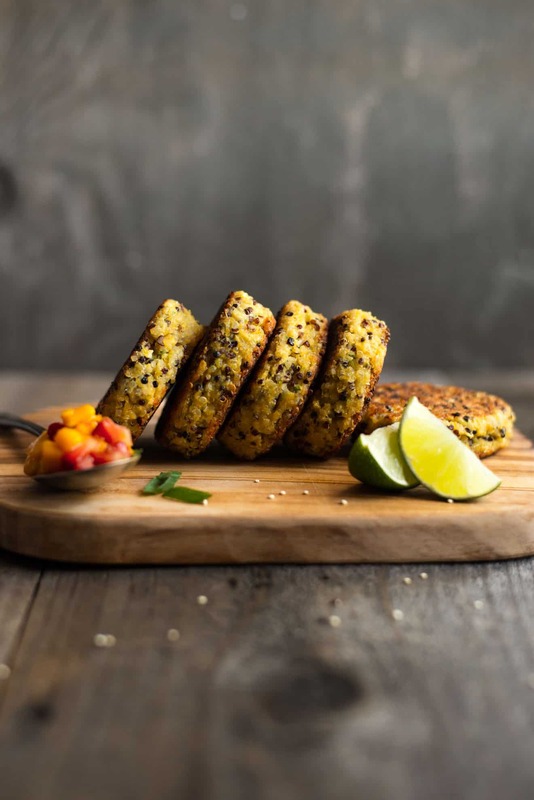 Inspired by the fish cakes recipe from Burma: Rivers of Flavor and quinoa cakes recipe from Super Natural Every Day. Add chickpeas, shallots, scallions, ginger, and salt to a food processor. Pulse until the chickpeas form into a thick paste. You may need to use a spatula to scrape down the sides. In a large bowl, combine quinoa, chickpea mixture, and eggs. Scoop out 1/4 cup of the mixture and shape into a cake, about 3/4 inch thick. Set them on a plate or a baking sheet until you’re ready to cook them. Heat half of the olive oil in a large non-stick pan or skillet over medium heat. Add 5 cakes and pan fry each side for 4 to 5 minutes. Plate and repeat with remaining cakes. Add more oil if necessary. To make mango salsa, finely dice mango and strawberries. Mix in a small bowl with a squeeze of lime juice and a small pinch of salt. 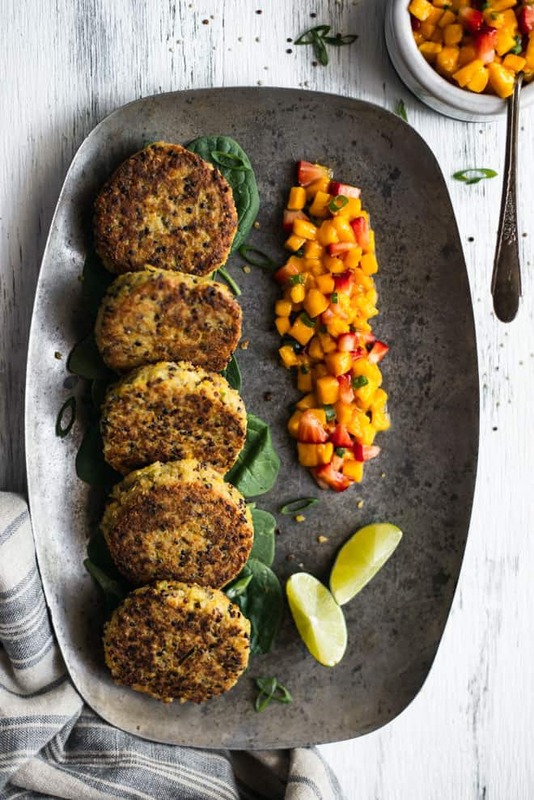 Serve with quinoa cakes. 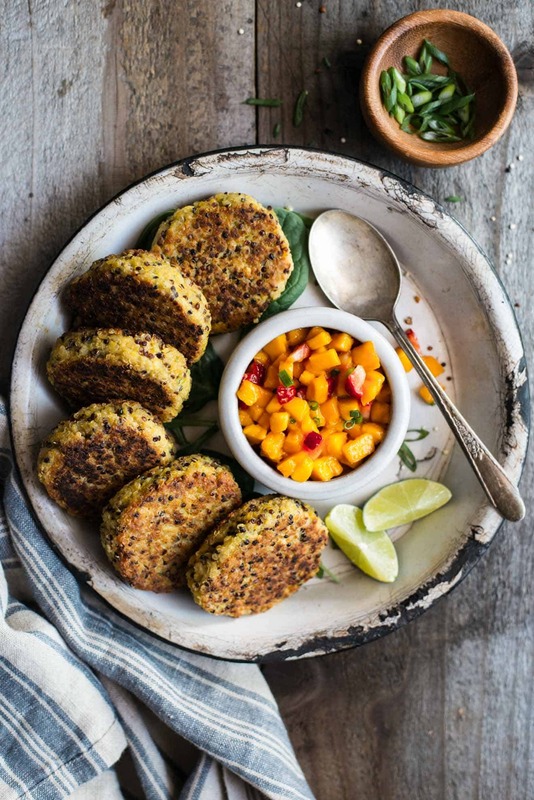 Serve quinoa cakes with mango salsa. 1. You can make the patties overnight. Put them on a plate, wrap it in plastic wrap, and refrigerate it. They’ll cook well straight out of the refrigerator. I’ve never tried freezing them. 2. 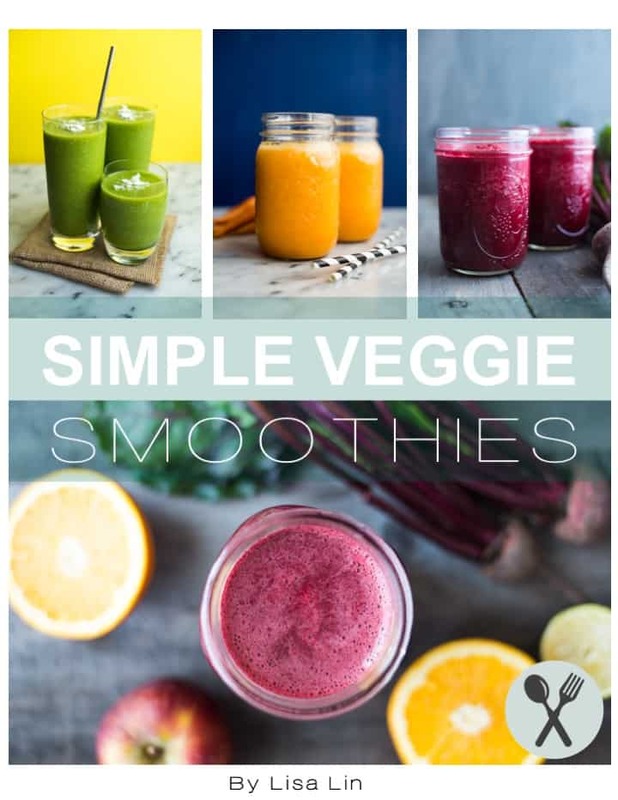 You can also skip the eggs entirely, if you want to make these vegan. Do note that the cakes are more crumbly without the eggs. Nutrition information includes 1/5 of the mango salsa. What a great idea for lunch! 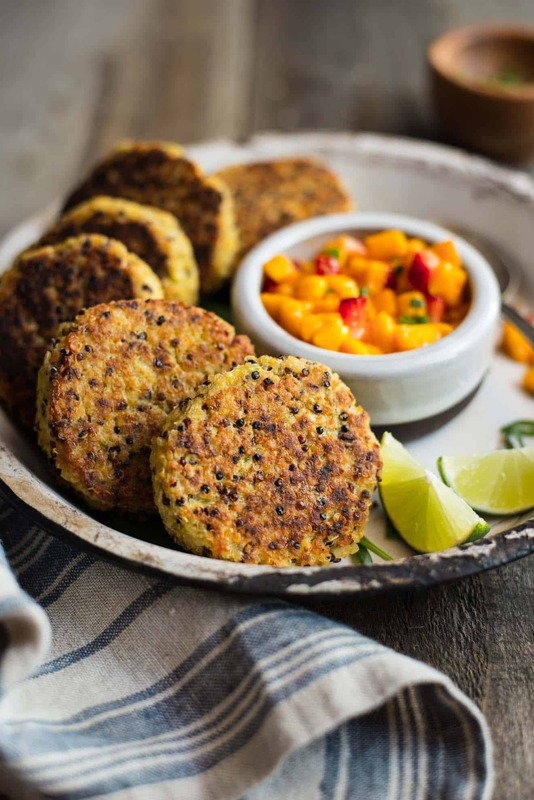 The quinoa cakes and mango salsa sounds delicious. I agree about using the food processor. It may just be the most used kitchen appliance in my kitchen. I love the addition of the turmeric for added color and flavor too! Gorgeous! I’m totally loving these cakes and that salsa sounds so fresh and vibrant! Quinoa has become SO popular over the last few years that it’s hard to believe it was still a pretty exotic ingredient not that long ago. Right? I remember the days when no one knew what quinoa was! Thanks, Sonali! These sound divine! I love quinoa & sweet potato. Thanks for giving me yet another recipe to add to my “to make” list! I’ll try it with just white. Yum! They’re delicious! Yes, definitely try a vegan version, too, and let me know about it! Thanks, Aimee! I’m digging these grainy little cakes with and Asian flair! I’m excited to give them a whirl! Hi, Lisa, I made your cakes and salsa last night. My daughter and I loved them! At first I made the cakes too thin and they fell apart when I turned them over. But the second batch I made thicker like yours and they worked much better. I added basil to the salsa for a bit of green but I think cilantro would be good as well. Also, a bit of heat with chopped jalapenos. Thanks for sharing! 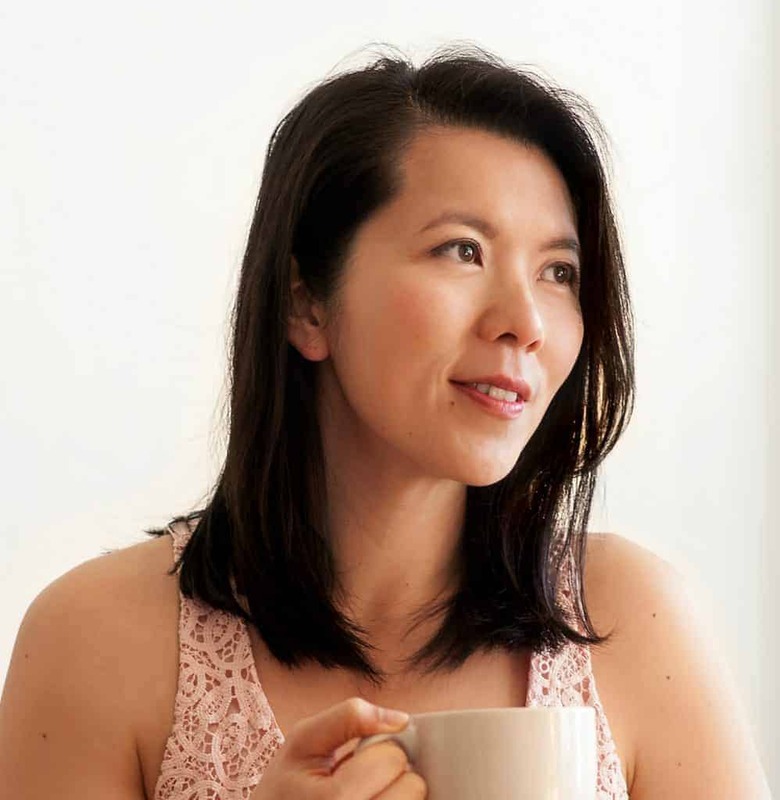 Nadine, thank you so much for trying out my recipe and for leaving me a comment! I’m so glad that you and your daughter enjoyed them! Thanks for the basil and salsa suggestions! Hi Lisa – help! I followed the recipe but added more quinoa and my cakes turned out quite tasteless 😒. Do u think it’s because of the extra quinoa? Also, just to let you know I bakrd them in the oven (200C for 20 mins then flipped them & baked for another 15 mins until golden brown) and that worked fantastically. Hi, Devorah! Yes, when you add more quinoa, you’ll want to add more seasoning to make sure that it’s not bland. I would recommend adding a bit of salt, garlic and green onions. One thing I like to do is taste the quinoa before I add the raw eggs to make sure I think everything tastes okay. Hope this helps! Thanks for the tip on baking them!